Welcome to your ultimate pricing guide for wedding flowers in the metropolitan DC area. We're answering your questions about wedding flowers and the pricing behind them, so keep reading to make choosing your wedding flowers the easiest part of your planning. As a trained professional, I can confidently tell you that you need to budget between 8-15 % of your total wedding budget toward the floral décor. Why? Wedding flowers really do make a statement in your event. Weddings are all about the romance between the couple and what says romance more than flowers? Flowers are usually the dominating factor in your décor, and can make the wedding feel very luxurious. The sooner you book your florist the easier planning your perfect wedding will be. Why are wedding flowers more expensive? It’s because we use high quality and premium flowers, sourcing locally and internationally. Wedding flowers can come from Europe, Japan, South America, and all over the United States. With your wedding ideas, your florist will put together a floral proposal quote for your wedding day, source the flowers and vases with their suppliers, and once the flowers come in, they will go to work to condition and prep the flowers, so they can open nicely just in time for your wedding. Plus then they have to consider the team that will assemble to deliver all the arrangements, installations, and sometimes even set up and break down in multiple locations on your wedding day. Be up front about your budget with your florist. This will play a key role in the types of flowers they can use in your wedding. They will typically use in season flowers first because these are the best and most beautiful flowers. When using flowers out of season, they tend to be smaller blooms, most likely imported in from out of town, and that can drive up the cost significantly. Consider using more greenery in your bouquet and use garland greenery instead of traditional centerpieces. Consider reusing ceremony flowers as reception flowers to save costs.Also consider mixing high and low centerpieces for visual interest and save some money here since taller centerpieces will cost more. Here’s a snapshot of Chic Girl Flower's pricing for the metropolitan DC area. Every company will quote differently depending on their caliber, what the clients want, and the type of flowers they are using. 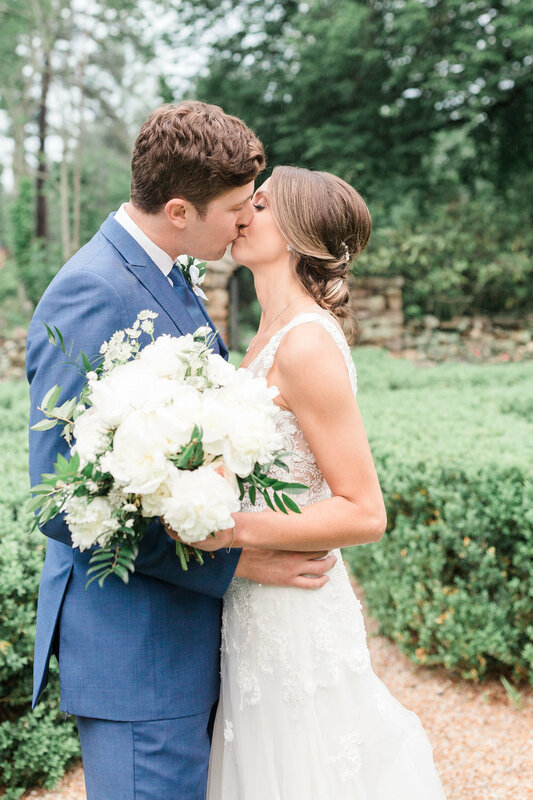 Our couples tend to be budget conscious, but they also want luxury and high-end flowers for their wedding such as peonies, garden roses, ranunculus, dahlias, etc. We try to keep the process seamless and stress-free, with fast and open communication to make their wedding day one of a kind. Flower Installments begin at $350 and go up based on the size of the arch and the amount of time, flowers, and labor required to assemble the structure. Want this guide as a download so that you can refer back to it later?